Chinese VIP gamblers patronize both cities and account for about half of all Singapore gaming revenue, says Grant Govertsen, an analyst at Union Gaming Advisors. And bad debts are mounting in both cities as gamblers have a hard time adjusting to China’s corruption crackdown and slowing economic growth. There’s a big difference in how casinos feel the pain, however. 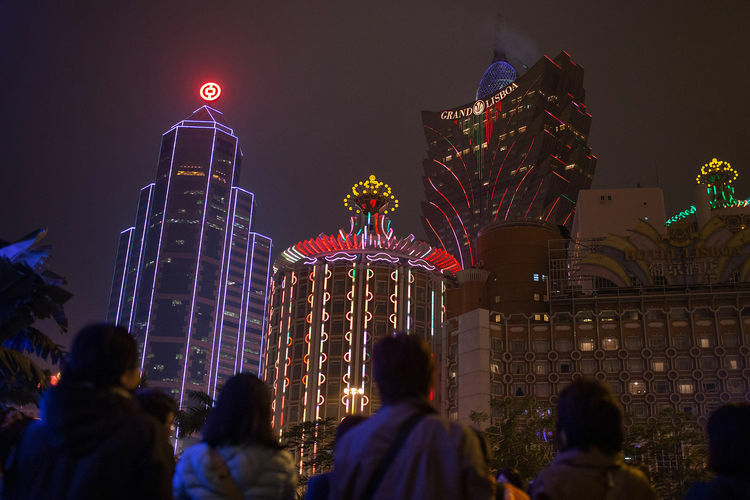 In Macau which, like Hong Kong, is a special administrative region of China about 180 licensed go-betweens provide credit to their customers and collect the money they owe. Singapore has just three licensed junket operators, who mainly help with foreign travel arrangements. So gaming losses there fall squarely on the casinos’ shoulders. The burden is growing. Casino operator Genting Singapore and billionaire Sheldon Adelson’s Las Vegas Sands, parent of Singapore’s Marina Bay Sands casino, already have reported hundreds of millions of dollars in receivables, or outstanding debts, on their balance sheets. Genting has established a record reserve to cover debts that are uncertain to be repaid. More will probably have to be set aside, according to Union Gaming. Receivables and notes that Genting Singapore is owed but hasn’t collected totaled $787.5 million in 2014, more than doubling from $369 million in 2010, according to data compiled by Bloomberg. That’s about four times the average at Macau’s six biggest casino operators. The junket setup in Macau, the only part of China where gambling is legal, gives gaming houses some protection from such charges. In good times, junket operators take a slice of profits that would otherwise go to the casino in exchange for bringing in groups of high-stakes gamblers with whom they have relationships. In bad times, they shield the gaming company from some of the losses by handling their own collections—with some using everything from public shaming of indebted clients in their hometowns in China to physical intimidation. “ Singapore casinos are dealing directly with the VIP players,” says Govertsen. “ That makes it a lot tougher to collect receivables because they don’t have the typical resources that junket operators would have to collect such gambling debts. Singapore is trying to use judicial means to compel dozens of Chinese gamblers to pay up. Last year its two casinos filed 49 lawsuits against individuals in Singapore’s High Court for gaming-related debts, up from just two a year earlier. The resorts brought 12 more cases in the first quarter of 2015. Val Chua, spokeswoman at Marina Bay Sands, and Lee Sin Yee, spokeswoman at Genting’s Resorts World Sentosa resort in Singapore, declined to comment. Singapore’s Casino Regulatory Authority didn’t immediately respond to questions. Last month, China’s government set its lowest annual growth target in more than 15 years, a bad omen for real estate prices. “A lot of these Chinese VIPs have money stuck in property investments, and they’re probably having trouble liquidating those assets to pay off those debts,” says Samuel Yin, an analyst at Maybank Kim Eng in Kuala Lumpur. While junket operators might be helpful in such times, says Vickers, “a major problem is that a need for extra-legal services means that many junkets have close links to triad societies.” Those extra-legal services include debt collection and running prostitution rings inside casinos, he says.